Fuji US will lower the price of the X PRO 1. 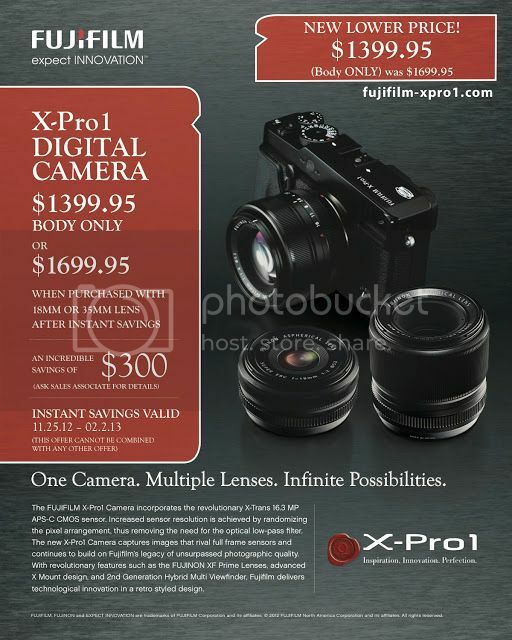 Brandon Remler has just been notified that on Friday Fuji will lower the price of the X PRo 1 from the current $1699 down to $1399. As you know in US we have daily new deals on cameras and lenses. There are also some Fuji deals. Just check out the pages at Amazon (camera&lenses) on Amazon (all stuff) on Adorama (Click here) on BHphoto (Click here) and on BestBuy (Click here). First Mitakon 35mm f/0.95 X-mount for sale on eBay. The first Mitakon 35mm f/0.95 X mount lenses are now for sale on eBay (Click here). This is the fastest native X-mount lens you can buy today. Question is…how good or bad is it? The only image samples I found have been shot on a NEX camera and are availbale at mflenses.com. (UPDATED) Fuji X-E1 now in Stock at Amazon and BHphoto too! Black X-E1 body on Amazon, Adorama and BHphoto. Silver X-E1 body on Amazon, Adorama and BHphoto. Fuji X-E1 kit available in UK. 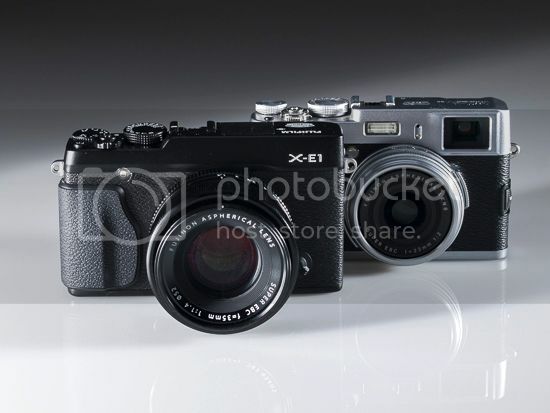 UK is the first European country having the X-E1 kits in Stock (on eBay via Slidoo). There is still no delivery date in other countries like for example Germany (here at Wex). Hurry! First X-E1 in Stock at Adorama! Black X-E1 body at Adorama (Click here) and Adorama eBay (Click here). Silver X-E1 body at Adorama (Click here) and Adorama eBay (Click here). There are a few in Stock right now via third party resellers at Amazon (Click here) but you have to pay a nifty $200 extra for it. eBay deal found via Slidoo.